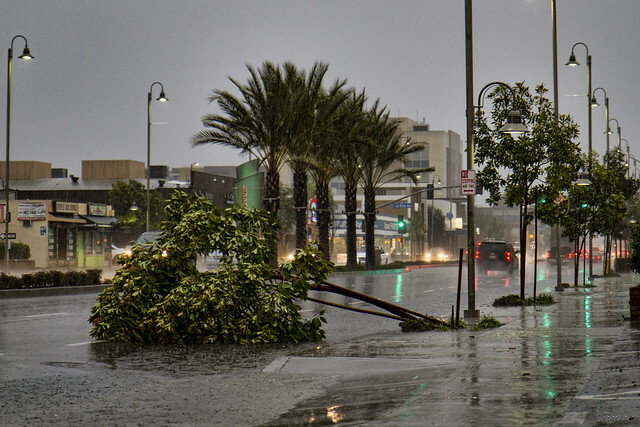 Downey Daily Photos: This crazy storm! In California, we have earthquakes for excitement. We rarely get (or are prepared for) "Weather" with a capital "W." But today we've seen what many are calling the worst storm in years. High winds have knocked down branches and even trees, and have left many without power. 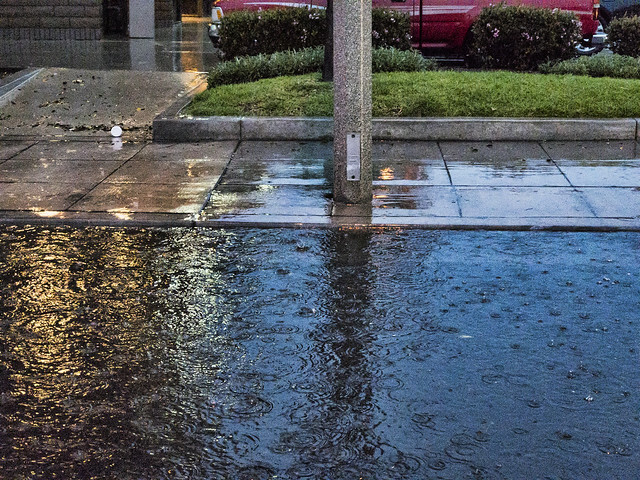 Streets and freeways are flooded. Thankfully, all this rain continues to improve our current drought conditions. 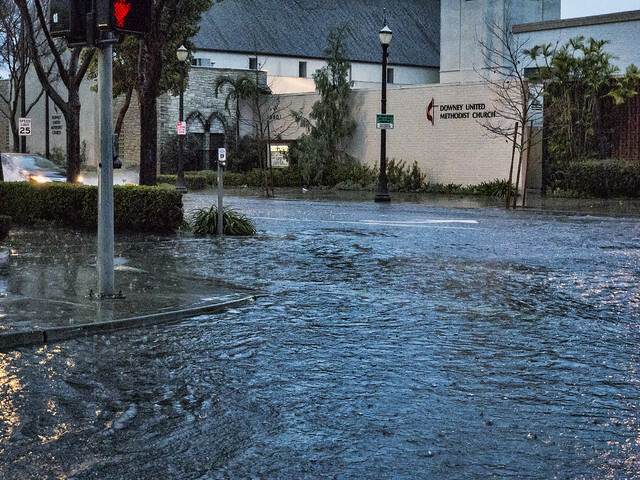 But even so, californiadrought.org reports that there are no quick fixes: "Despite these improvements, drought impacts on overdrafted groundwater basins, forests, and aquatic species in California are long term and will take multiple above-average precipitation years to be resolved."